This tutorial will show you how to generate a CSR code and install an SSL Certificate on Proxmox Virtual Environment. You will also learn a few interesting facts about Proxmox, as well as discover the best place to shop for affordable SSL Certificates. If you’ve already generated the CSR Code and received the necessary SSL files, you can proceed straight to the installation instructions. Use the links below to jump between sections. 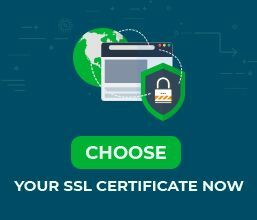 Where to buy the best SSL Certificate for Proxmox? To get an SSL Certificate from a trusted Certificate Authority (CA), every SSL applicant must generate a CSR code and send it to the certificate provider. CSR stands for Certificate Signing Request, a block of encrypted code with contact data such as domain and company identity. Note: Replace mywebsite attribute with your actual domain name. Common Name: enter the FQDN (fully-qualified domain name) you want to secure. For example, yoursite.com. If you have a Wildcard certificate, add an asterisk in front of the domain (e.g., *.yoursite.com). That’s it! The OpenSSL utility will now create your CSR code along with the private key. To locate the newly generated files, use the ls command. You can open the CSR file with any text editor of your choice such as Notepad. During the SSL order process, you’ll have to copy the entire CSR contents, including the BEGIN CERTIFICATE and END CERTIFICATE tags into the corresponding box, on your SSL vendor’s website. After your CA signs your SSL certificate and sends the SSL files to your inbox, you can begin the installation. Note: The following instructions apply to Proxmox Virtual Environment version 4.1.20 or higher. Check your version of the PVE-manager and upgrade if necessary. Depending on your CA, you may receive your root and intermediate certificates in separate files, or in a single .ca-bundle file. For Proxmox, you’ll have to combine your primary and intermediate certs into a single PEM file. Use any text editor to copy-paste the contents of each certificate. Once your two SSL files are ready, move them to the override locations in /etc/pve/nodes/<node>. 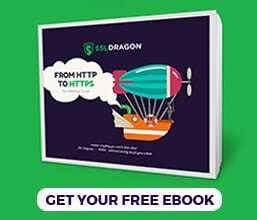 Ensure that you’re using the correct SSL files and nodes. Next, restart the web interface using the systemctl restart pveproxy command. Congratulations, you’ve successfully installed an SSL certificate on Proxmox Virtual Environment. After you install an SSL Certificate on Proxmox, you should run a quick test and check your new SSL certificate for potential errors and vulnerabilities. We have an entire article on our blog, describing the best SSL tools to scan your SSL installation. Proxmox Virtual Environment (PVE) is a free and open-source server virtualization environment built on Debian-based Linux distribution and Ubuntu LTS kernel. Proxnox was created by two Linux developers, Dietmar and Martin Maurer, with the first public release going live in April 2008. At that time, Proxmox was one of the few platforms offering out-of-the-box support for container and full virtualization in Web GUI identical to commercial counterparts. Proxmox comes with a wide range of features such as live migration, bridged networking, OS template building, flexible storage, scheduled backup and command line tools. If you don’t know what type of SSL certificate to choose, our SSL Wizard and Certificate Filter tools will recommend the ideal SSL product for your website.